Agricultural water pump is a kind of agricultural machinery. 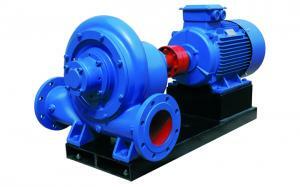 A water pump is a machine that transports liquids or pressurizes liquids. According to the working principle and structural characteristics of the main working parts, the first category is vane pump. By rotating impeller, it works with centrifugal force or impetus, such as a centrifugal pump, axial flow pump, mixed flow pump, etc. The second type is the volumetric pump, which works with the change of the volume of piston and plunger, such as the pull rod pump, the triple pump, etc. 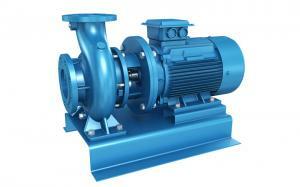 The third type is special type pump, such as water hammer pump. If according to the characteristics of the performance of the engine and water pump, the classification of the characteristics of the structure, and the deep well pump, water turbine pump, etc. In recent years, with the adjustment of agricultural structure, farmers make full use of low mountain slope and barren land resources. Large areas develop highly efficient agriculture, but these plots are often difficult to irrigate. Pump water for irrigation. 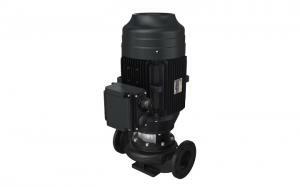 Then, how to buy a suitable agriculture water pump. First of all, we should choose the ag irrigation split case centrifugal pump according to local conditions.There are three types of commonly used submersible water pump for agriculture, namely centrifugal pumps, axial flow pumps and mixed flow pumps. The centrifugal pump has a high lift, but it has little water flow and is suitable for mountain and well-irrigated areas. 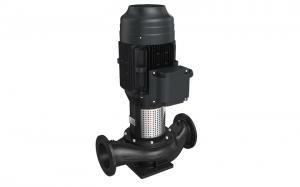 The axial flow pump has a large amount of water, but it is not too high, which is suitable for use in the plain area. The water flow and lift of mixing pump are between centrifugal pump and axial flow pump, which are suitable for use in the plain and hilly areas. Users should choose according to local conditions, water sources and water withdrawals. Second, should be appropriate to select water pump in agriculture. After determining the type of pump, the economic performance should be considered, especially the lift and flow of the pump and the selection of the supporting power. It is important to note that the head lift (total head) indicated on the pump label is different from that of the outlet when used. This is because water flows through the pipes and pipelines will have certain resistance losses. Therefore, the actual lift is generally 10% to 20% lower than the total head, and the amount of water output decreases accordingly.Therefore, when used in practice, only 80% ~ 90% of the head and flow rate can be calculated. The choice of pump supporting power can be selected according to the power indicated by the sign. In order to enable the pump to start up fast and use safety, the power of the engine can be slightly larger than the required power of the pump, which is generally about 10% higher. 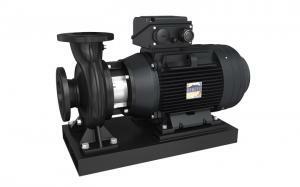 If you have the power to buy the water pump, you can choose the water pump according to the power of the power machine. Finally, strict procedures are needed to buy water pumps. When purchasing submersible pump for agriculture, it is also required to examine "three certificates", namely, agricultural machinery promotion permit, production license, and product inspection certificate. Only three certificates are needed to avoid the purchase of obsolete products and inferior products. In agricultural production activities, the use of pumps is more frequent. In the long-term use of agricultural irrigation pump, many people also summed up some of the effect using and maintenance skills of pumps. 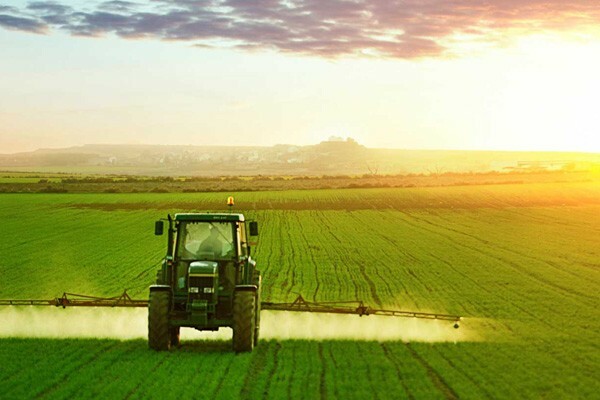 So how do agricultural pumps operate efficiently and safely? Widely using of agricultural water pumps (pump), such as centrifugal pump, axial flow pump, submersible pumps, mixed flow pump, etc.. In terms of the use of machinery, sometimes it has some problems: the power machinery and pump power don’t match so well, machine burning under overload operation, high energy costs, higher repair costs. The waste of manpower, material resources and financial resources increases the user's financial burden. 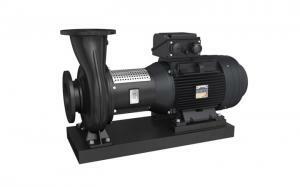 1.Motive power machine and water pump's rated power should match. Generally, a water pump needs the supporting power of many kilowatts, and there are clear rules on the water pump nameplate. Otherwise, when the power is too large, it will cause large " "big Mara trolleys" situation, which wastes power and increase costs. Whereas there will be a "little horse cart", with insufficient water flow or overload, damaged machinery, unable to work, and wasteful investment. 2. When the new machine starts pumping, it shall wipe off the protection oil from the pump shaft and other parts. We should carefully check whether the impeller rotation is normal, the pump shaft rotation is flexible and whether the clearance of the bearing is suitable, the gasket of the pump body is broken, the connection of all parts is secure, water hose is leaky, etc. If there is any problem, it should be fixed in time. 3. The installation of water pump and power machine should be firm. In particular, the pump shaft should be parallel to the engine shaft; while installing the belt, pay attention to the loose side of the belt to increase the transmission efficiency. 4. When pumping water with electric locomotive, two pumps are strictly prohibited to start up. In case the whole circuit current is too large, and burn the motor, resulting in the economic loss. 5. Timely check whether the water pump enters the water valve and is blocked by weeds. Note whether the flow head meets the performance requirements. Once the problem is discovered, it should be eliminated immediately to ensure normal operation. 6. Stop pump pumping, you must first close the pressure valve, and then stop operation. Unload the belt. When the machine is not used for a long time, the whole machine should be carefully cleaned, and the water in the pump will be completely put out. For the machine easy to rust parts and parts, should be coated with protective oil, to prevent agricultural irrigation water pump rust. Centrifugal agricultural water pumping system has the characteristics of high speed, small volume, lightweight, high lift, simple structure, stable performance, easy operation, and maintenance. It is widely used for agricultural irrigation. The existing irrigation area of our country is about 0.27 million ha (1hm2= 104m2), which is used to pump water drip irrigation or sprinkler irrigation, and 0.34 billion ha of electric pump is used to drain the water. At present, China has about 80 million kilowatts of mechanical power, accounting for about 25% of the total power of agricultural machinery. Pipeline centrifugal pump has a total of 8 million units, accounting for about 5% of the total oil consumption in the country. Electricity consumption accounts for about 21 percent of the country's total electricity generation. The development of irrigation machinery directly affects the development of agriculture and national economy. Small and medium-sized centrifugal agricultural irrigation water pumps and small submersible pumps are the major market sailing types of agricultural pumps. Since the 1970s, China's irrigation machinery has been exported. 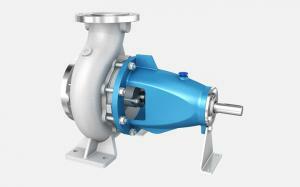 Export main products horizontal centrifugal pump, double suction centrifugal pump, etc. In the face of technological advances and international competition, Croos Pump (Shanghai) Co. Ltd. will rely on institutional innovation, scientific and technological innovation, trying to build a first-class corporate image with first-class technology and products. Croos Pump seizes various opportunities and creates resplendence by strengthening exchanges and cooperation with friends from home and abroad!